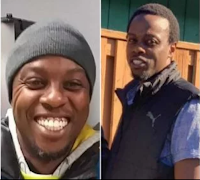 Wednesday, April 17, 2019- A 35-year old Kenyan man living in the US has drowned in a lake accident in Washington DC. Bonventure Alfred Ng’ang’a Gitau left Kenya seven months ago to seek greener pastures in the US but his life was cut short when an inflatable kayak that he was travelling in with a friend capsized. According to police, the late who hails from Mwiki in Kasarani area of Nairobi was not wearing a personal floatation device at the time of the incident in the cold lake water. However Gitau’s friend, Jackson Njaru, 31, made a lucky escape by swimming to a nearby boat and was pulled from the water, as Gitau’s body was retrieved almost fours after he drowned. According to the deceased’s cousin who lives in the US, Gitau left Kenya for Washington in September 2018 in search of greener pastures and was working in construction to upgrade the economic situation of his family back in Kenya and leaves behind a 3-year-old son. The Kenyan community in Washington will hold a fund drive on Sunday to cater for the expenses for sending the deceased’s body home for burial at his family’s ancestral land in Kiambaa, Kiambu County.